An a-ha.com ticket presale starts on 2 February. The final movie poster for Yohan is now being sent out to Norwegian cinemas. As can be seen in this larger version on the Yohan website, Morten is credited as one of the eight main actors at the top of the poster. The children’s adventure movie, in which Morten plays the father in a travelling gypsy family, will premiere in Norway on March 26th. Directed by Grete Salomonsen, Yohan also stars Kris Kristofferson, Dennis Storhøi and Agnete Haaland. The studio version of “Den Stilleste Timen” is now available for purchase from Norwegian download sites like Platekompaniet.no and musikkonline.no. 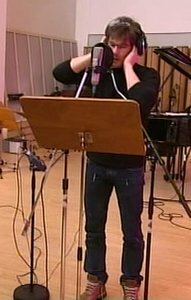 Morten can be heard singing the lead vocals on the first chorus and the third verse. “Den Stilleste Timen” also features the voices of: Ole Paus, Lars Lillo-Stenberg, Ingrid Olava, Thom Hell, Elisabeth Andreassen, Askil Holm, Simone Larsen, Laila Samuelsen, Pål Angelskår, Anne Nørdsti, Benedikte Narum, Eldar Vågan, Helene Bøksle, Steven Wilson, Tommy Michaelsen and Tuva Syvertsen. The song was recorded and mixed by Jan Erik Kongshaug at Rainbow Studios, and produced by Håkon Iversen. All proceeds goes to the Haiti relief work being done by the Norwegian Red Cross and the Norwegian Church Aid. Update: The song is apparently also available for purchase on iTunes across Europe. According to a-ha.com the 2010 American tour dates will be announced next week. Apart from the one-off show at New York’s Irving Plaza in 2005, these will be the first a-ha concerts in the U.S. since 1986. While in Munich to perform at the Bavarian Movie Awards on January 15th, a-ha were presented with platinum awards for selling more than 200 000 copies of Foot Of The Mountain in Germany, trade publication MusikWoche reports. Considering the fact that “no one” buys CDs anymore, this is an impressive number. The album is still in the Top 100 German album chart after 31 weeks, currently at number 65. More news from Germany: a-ha have been nominated in the “Best international group”-category for this year’s Echo Awards, which will take place in Berlin on March 4th. The other nominees are U2, Depeche Mode, Black Eyed Peas and Razorlight. a-ha will not be able to attend the award show, as they are opening their farewell tour in Buenos Aires on that day. 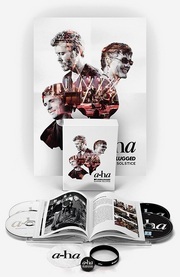 In Norway the nominations for this year’s Spellemann Awards were announced yesterday, but a-ha did not get any nominations for their final album. Producer and Apparatjik member Martin Terefe has posted a news update on his official website which says that the long-awaited Apparatjik album will be released on the same day as the band’s debut concert in Berlin next Monday, February 1st. Since there has been no info about a CD release, it’s fair to assume that the album will be available only as a digital download. Some info about last week’s Pupparatjik workshop in Trondheim can now be found here. One of the students who participated has shared some of his thoughts on the Apparatchick forum and he has also posted a set of pictures on Flickr. And of course you can see the results of the workshop at apparatjik.com/pupparatjik. Morten took part in the “Dugnad For Haiti” charity concert at the Oslo Opera House last night, by performing the Christian hymn “O Bli Hos Meg”, which is the Norwegian version of the original English hymn “Abide With Me”. This is a song that Morten has performed several times before, most recently at his church concert in Kristiansund in September. He was accompanied by Kjetil Bjerkestrand on piano, Rune Arnesen on percussion and a string quartet. At the end of the concert Ole Paus and all the artists, including Morten, performed the new charity single “Den Stilleste Timen”, which was written by Paus. “It’s incredible what [Ole Paus] has achieved. The fact that he’s managed to turn around and deliver something like this. It’s really super“, Morten told VG Nett after the concert. Among the concert audience was Crown Prince Haakon Magnus. “I am impressed by all those who have made this happen, both the artists and those who work at the Opera House“, the Crown Prince told VG Nett. All proceeds from the event goes to the Norwegian Red Cross and the Norwegian Church Aid, two organizations that are providing relief work in Haiti at the moment. More info about the important work they are doing can be found here and here. People watching the concert at home could donate 200 kroner by calling the number shown on the screen, and initial reports show that more than 20 million kroner was raised during the concert. “People’s reactions now are of vital importance. But it is also of vital importance that we decide on what can be called acceptable. The imbalance that exists in the world today is totally unacceptable. It’s a challenge that we need to face together. Everyone who wants to do something now once again has a chance to do their share. It’s easy to become disheartened, but it will make a difference. For many people it’s too late, but there is a lot of people who need help now. What’s happened in Haiti is terrible. And Haiti’s situation through the years has also been unacceptable. 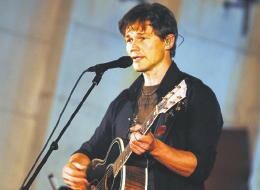 But right now there’s a real disaster where people need all the help they can get“, Morten says. 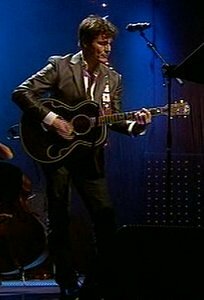 If you didn’t get a chance to watch the concert, it is available on NRK.no here (Morten appears after 1 hour 43 minutes). 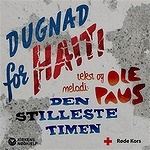 In addition to performing at the concert for Haiti in Oslo tomorrow, Morten is also among the artists singing on a Norwegian charity single for Haiti. The song, which is called “Den Stilleste Timen”, was written by Ole Paus this week. Yesterday Paus recorded a demo version of the song at Amadeus Studios, while work on the final version with all the artists started at Rainbow Studios today. Part of the song could be heard in a report from the recording sessions on TV2 tonight. It appeared to feature Morten doing the lead vocals. Other artists participating on the single include Ingrid Olava, Eldar Vågan, Simone from D’Sound, Askil Holm, Tuva Syvertsen from Valkyrien Allstars, Thom Hell and Ole Paus himself. Joachim Lund, who is responsible for the project, tells Dagsavisen: “It’s an absolutely beautiful song, which has the right balance between sober lyrics and a melody which will appeal to a large audience. You have to be pretty callous if you aren’t touched by this song“. 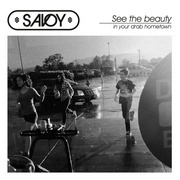 The single is planned for release both as a CD-single and download. Yesterday, Morten appeared on “God Morgen Norge” on TV2 together with singer Elisabeth Andreassen and director Alexander Eik to talk about tomorrow’s concert for Haiti. “I’m not sure what I’ll be singing, but I promise to make a decision before I go on stage“, Morten said when asked what he’s planned for tomorrow’s concert. The interview can be seen on TV2.no. Morten is one of the artists who will be performing at a charity concert for the people of Haiti on Sunday, 24 January. The concert is held at the opera house in Oslo and will be broadcast on NRK1. “It’s important that we react as one people, across all layers of society, where everyone contribute where they can“, Morten tells Dagbladet today. “I have for a long time felt powerless in relation to Haiti, because the problems are so huge that it will have to involve a determined and longterm effort on a global scale. [But] if the world society really decides to do so, we can get Haiti back on its feet“, Morten says. Other artists performing at the concert include Ole Paus, Lars Lillo-Stenberg, Superfamily, Ane Brun, Kurt Nilsen, Minor Majority, Thom Hell, D’Sound and A1. Magne will be in Trondheim on Wednesday and Thursday this week, where he’s going to host a workshop at the Trondheim Academy of Fine Art together with Ute Meta Bauer. 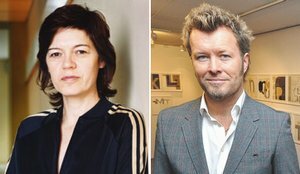 “In this two-day workshop Ute Meta Bauer and Magne Furuholmen will create with the workshop participants a kind of puppet show interacting with shadow techniques and video projection“, the academy’s website states. Ute Meta Bauer has known Magne for years and is currently serving as the artistic director of the Apparatjik project. Read more about the “Pupparatjik” workshop here. Some good news for fans in Spain; according to the website of a Spanish booking company (rocknrock.com), a-ha will be playing in Madrid on 14 October and in Barcelona on 15 October. No info about the venues and ticket details available yet. Update (Jan. 19): The dates have now been confirmed by a-ha.com and the venues are Palacio Vista Alegre in Madrid and St. Jordi Club in Barcelona. Tickets go on sale this Friday through Ticketmaster. And some bad news for fans in Australia; although a-ha had hoped to visit the country on their farewell tour, unfortunately there won’t be any concerts in Australia this year. a-ha made their first appearance this year when they did a playback performance of “Nothing Is Keeping You Here” at the Bavarian movie awards in Munich last night. Even though it was only playback, they were joined by Karl and Erik on drums and bass. The performance can be seen on YouTube here. The official site has now confirmed a concert in Brussels, Belgium on 11 October. The four remaining concerts in Brazil were also finally confirmed. Visit a-ha.com for ticket details. Magne’s “Alpha Beta” exhibition is opening at the Edinburgh Printmakers gallery in Edinburgh, Scotland today. According to the gallery’s website, Magne will be present for an “artist talk” between 4.30-5.30pm, where he will discuss his artworks with Paul Stolper. And between 6-8pm people can “join Magne F for an exclusive reception to celebrate his exhibition”. Update (Jan. 20): Although the exhibition opened on January 16th, the “artist talk” and “exclusive reception” with Magne won’t happen before February 17th. A PDF flyer for this event can be seen here. Tonight is the second semi-final of the Norwegian Melodi Grand Prix (Eurovision Song Contest), where Morten’s daughter Tomine will perform the song “Be Good To Me”. 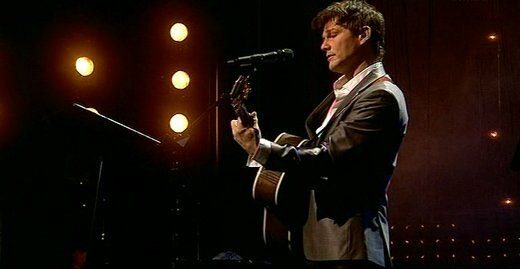 Because of a-ha’s trip to Germany, Morten won’t be able to be part of the audience in Bodø, where the show is held. And that is one of the reasons why Tomine wants to make it to the final. “I have to make it to the next round so my father gets a chance to see me on stage“, Tomine told VG a few days ago. “Tomine can be proud of the beautiful song she will be performing. And Grand Prix is a great arena in which to present it“, Morten says in today’s VG. The show can be seen live on NRK’s web-TV here, starting at 19.55. “Be Good To Me” can already be heard here. Update: Tomine did a good performance, but did not get enough votes to go to the final. There is a good chance that a-ha may do a concert in Kristiansand, Norway this summer, the newspaper Fædrelandsvennen reports today. “I can confirm that this is being worked on and that we really want to make it happen. a-ha want to do a concert in Kristiansand, but the band has a rather tight tour schedule and so the concert date and some other issues are yet to be decided“, a-ha manager Harald Wiik tells Fædrelandsvennen. 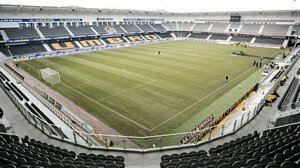 Wiik doesn’t want to say where the concert would be held, but the football club Start’s home stadium called Sør Arena would be a good candidate. The stadium has a capacity of around 20 000 people for concerts. Cathrine Aanensen at Start’s event company Start Event confirms that they are currently in a dialogue with a-ha’s management. a-ha have only done one concert in Kristiansand before, when they played for 4400 people at Gimlehallen on 30 January 1987. Tickets will go on sale this Saturday, January 16th at LiveNation.nl. The March 14th concert in Belo Horizonte has also finally been confirmed. Ticket sales for this show started, uh… last year. But a-ha.com claims there are still tickets available. However, still no official word on the four remaining Brazilian dates in Bauru, Brasilia, Recife and Fortaleza. As previously reported, concert organizers in Bodø, Norway have been in contact with a-ha Network about getting a possible date on the Farewell Tour. The concert would have been held as part of the Aspmyra Live mini-festival, but it seems that the plans didn’t work out. “As it stands now this won’t happen, unfortunately“, a-ha manager Harald Wiik tells local newspaper Avisa Nordland today. According to the newspaper, a-ha will be doing concerts in Norway between August 20th and September 12th. “There was a weekend during that period when we could have arranged Aspmyra Live, but that wasn’t a good time for the band. Aspmyra Live is usually held in June, but it wasn’t possible for a-ha to come here [that month]“, Gøran Aamodt of the event company Tag Productions tells Avisa Nordland. 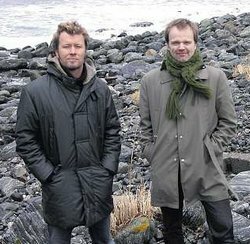 As for which Norwegian cities that will get a visit from a-ha in late summer, there have been rumours about both Stavanger and Bergen. On January 6th, a-ha.com announced a date in Paris, France on October 12th. And the previously known date in Santiago, Chile on March 6th was officially confirmed. The following day, a concert in Amsterdam, Holland on October 10th was also announced by a-ha.com. But that date has since been removed from the official site, because all the details weren’t ready yet. The first “Go with the Flø” art and music festival will be held at Flø in Norway on 5 – 6 June. The festival was supposed to be held in June 2009, but had to be postponed to 2010 instead. In addition to exhibiting some new artworks, Magne will be performing at the festival – provided there is enough time between a-ha dates. “Magne is touring Europe with a-ha around that time, but he will try to be here if it’s possible. And then he will take part in the festival both as a musician and an artist“, festival organizer Hugo Opdal tells local newspaper Vikebladet’s paper edition. The 2009 statistics of the official Norwegian album chart shows that Foot Of The Mountain was the 8th bestselling Norwegian album of 2009 and the 15th bestselling when international albums are included. The whole list can be seen on Farojournalen’s website. On NRK P1, Norway’s largest radio station, “Foot Of The Mountain” was the 2nd most played song in 2009, only beaten by Beyonce’s “Halo”. The 15 most played songs can be seen on NRK.no. And on Hit 40, the official Norwegian radio chart, “Foot Of The Mountain” was the 4th most played Norwegian song in 2009 and 7th overall. The top 100 songs are listed here. In Germany, Foot Of The Mountain ended up at number 22 on the list of the bestselling albums of 2009, which is available here. The album is actually still in the German album chart, currently at number 52 after 29 weeks. a-ha’s backing musician Erik Ljunggren was recently interviewed by the German magazine Keyboards. Scans of the interview has been posted on the German forum by Elanur.